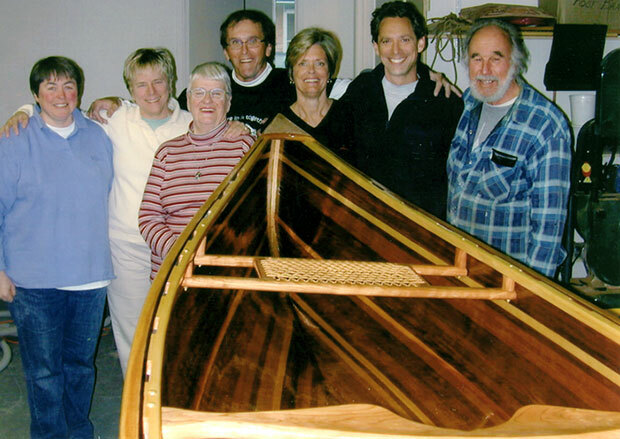 Keith Telfer writes "A group of seven volunteers from Wellspring Cancer Support Center, both cancer patients and caregivers, built this canoe in ten weeks. We built it for a charity auction to raise money for the Center. [Designer] Steve Killing visited us a few times and Dave Fisher provided the space in his shop and his building expertise. 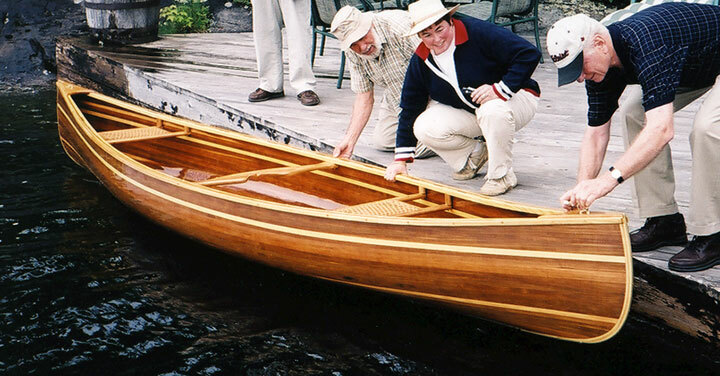 The canoe is of Western red cedar bead and cove strips, ash gunwales, and cherry seats and breasthooks. Our team had great fun and a good deal of stress and delight from all of the building operations new to most of us. George Whyte surprised his wife, Leitha, by bidding on and finally buying the boat for her at the gala auction event. They launched it at their cottage on Lake-Of-Bays, Muskoka, ON, on June 13, 2004, with the entire team present and a bottle of champagne. 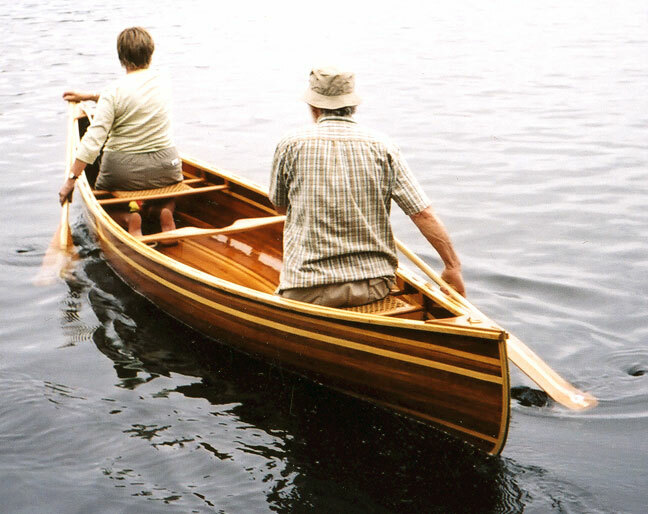 Already Leitha is looking forward to the beginning of a family heirloom as her grandchildren enjoy canoeing."